Insulated water bottles can handle the heat....and cold. Nothing is worse than setting out for a long day of hiking with your water packed in what you think is a well-insulated water bottle. Little did you know, your water bottle wasn't nearly as insulated as you thought. Now you face the prospects of downing 80 degree water in your bottle on an already 85 degree day. ​See a problem here? We do too! At trekbible, we understand the importance of quality travel accessories, such as the best insulated water bottles. For this reason, we've compiled our list of the 15 best insulated water bottles to assist in keeping you hydrated on your next trek! Here are our favorite insulated water bottles. Please see below for more reviews. Nothing is worse than setting out for a long day of hiking with your water packed in what you think is a well-insulated water bottle. Little did you know, your water bottle wasn't nearly as insulated as you though, and now you face the prospects of downing the 80 degree water in your bottle on an already 85 degree day. See a problem here? We do too! At trekbible, we understand the importance of quality travel accessories such as the best insulated water bottles. For this reason, we've compiled our list of the 15 best insulated water bottles to assist in keeping you hydrated on your next trek! Who are Insulated Water Bottles Best for? ​Just as in the scenario we described at the beginning, it's no fun to drink a beverage at a temperature it was not meant to be served. This means that your coffee should stay piping hot and your water should be ice cold. When you buy a thermos or insulated water bottle, you expect it to keep your drinks at your preferred temperature. The best insulated water bottles on the market strive to achieve this feat with combinations of insulation, vacuum technology, copper linings, and other mechanisms depending on the brand and model you purchase. Just as in the scenario we described at the beginning, it's no fun to drink a beverage at a temperature it was not meant to be served. This means that your coffee should stay piping hot and your water should be ice cold. The best insulated water bottles on the market strive to achieve this feat with combinations of insulation, vacuum technology, copper linings, and other mechanisms depending on the brand and model you purchase. ​​​​​Yes, buying a pack of plastic water bottles that come in pre-measured amounts seems convenient and easy. However, with the dawn of 2018 in sight, it's time we abandon this mentality. When you use a plastic water bottle every day, you're negatively impacting the environment by adding more plastic toxins to the Earth. Insulated water bottles are just as easy, if not easier, than plastic bottles to use, wash, carry, and maintain. Rather than being relegated to a landfill or the ocean, the best insulated water bottles offer a solution that works time after time without any waste. Additionally, plastic water bottles tend to be made of substances that can harm your body. Plastic items that state "BPA free" mean they haven't been produced using a chemical called Bisphenol A. This chemical has been linked to many health problems due its ability to disrupt hormone production in humans. However, even if a company uses BPA-free plastic, there’s still a chance of other chemicals seeping out as you drink. Thankfully, you can buy a naturally BPA-free water bottle, such as those listed here in our article. Yes, buying a pack of 24 plastic water bottles in pre-measured amounts seems convenient and easy. However, with the dawn of 2018 in sight, it's time we abandon this mentality. Insulated water bottles are just as easy, if not easier, than plastic bottles to use, wash, carry, and maintain. Rather than being relegated to a landfill or the ocean, the best insulated water bottles offer a solution that works time after time without any waste. ​If you really have a need to keep your beverages hot or cold, you may be thinking that a Thermos-like product is the solution. Even still, some of these containers are heavy, cumbersome, and difficult to transport. On the other hand, the best insulated water bottles on the market can be grabbed in a hurry, are relatively lightweight, and if you're lucky, will fit in your car's cup holders. Thereby, insulated water bottles are a practical solution for your drinks. If you really have a need to keep your beverages hot or cold, you may be thinking that a Thermos-like product is the solution. Even still, some of these containers are heavy, cumbersome, and difficult to transport. On the other hand, the best insulated water bottles on the market can be grabbed in a hurry, are relatively lightweight, and if you're lucky, will fit in your car's cup holders. Thereby, insulated water bottles are a practical solution for your drinks. While stainless steel water bottles might seem costly compared to plastic bottles, they'll save you money over time. Instead of constantly wasting hard-earned cash on plastic water containers, consider buying a reusable water bottle. These vacuum insulated water bottles will keep your ice cubes from melting, while adding more money to your pocket. On a similar note, the best thermos products and water bottles will be both high-quality and affordable. The best insulated water bottle will also hold more liquid than individual plastic bottles, so you can increase your water intake. If you've ever used a glass water bottle, you know how careful you must be to keep it from breaking. These bottles tend to be impractical for athletes or active people, as sports water bottles need to withstand the elements. The best water bottle should keep your drink cool and remain undamaged, despite any rough handling it might receive. Stainless steel bottles will stay intact during all of your traveling adventures. As the list depicts, just about anyone is able to reap the benefits of some of the best insulated water bottles out there. This is largely due to the versatility of these travel accessories. These products know no limits! As the list depicts, just about anyone is able to reap the benefits of some of the best insulated water bottles out there. These products know no limits! Without further ado, lets start sipping. We've collected a myriad of products with a variety of features, prices, and amenities. 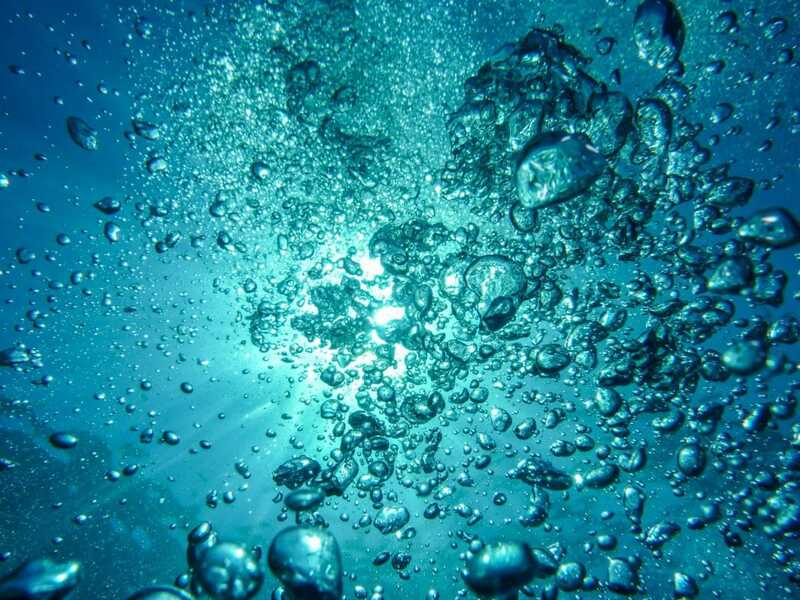 We're hoping you'll find the best insulated water bottle for you on this list,. So get browsing and head on over to Amazon and add it to your cart when you've found your match! Without further ado, lets start sipping. We've collected a myriad of products with a variety of features, prices, and amenities. If you find something you like, head on over to Amazon and add it to your cart! Right out of the gates, it's apparent that Bottlebottle's insulated water bottle is a keeper! Available in a 32 oz. option or a 40 oz. option, this insulated stainless steel bottle features a double wall vacuum seal. A higher water bottle oz amount also means you won't need to refill the container as often. This assists in keeping beverages cold for 24 hours and hot for 12. Bottlebottle accomplishes this with an insulated layer of copper that sits between the double wall to reduce the transfer of temperature. 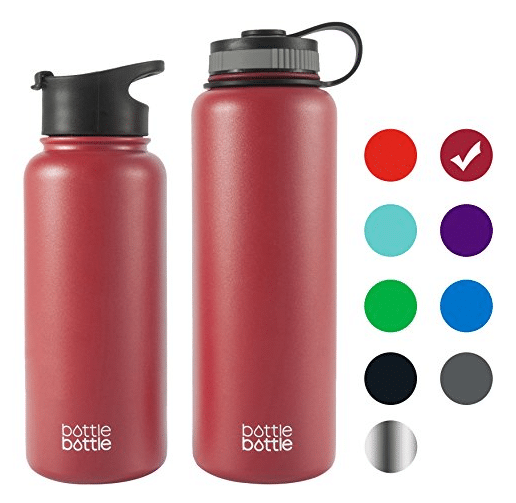 A powder coat ensures that the bottle neither sweats, nor slips, while the wide mouth lid allows for easy additions of ice and prevents spills. Right out of the gates, it's apparent that Bottlebottle's insulated water bottle is a keeper! Available in a 32 oz. option or a 40 oz. 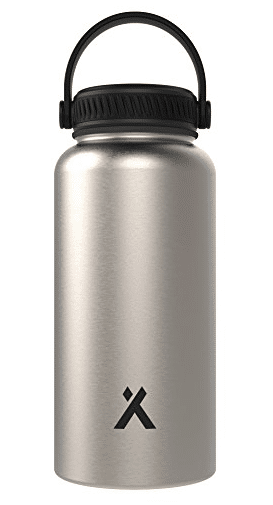 option, this insulated stainless steel bottle features a double wall vaccum seal. This assists in keeping beverages cold for 24 hours and hot for 12. Bottlebottle accomplishes this with an insulated layer of copper that sits between the double wall to reduce the transfer of temperature. 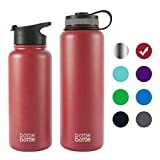 A powder coat ensures that the bottle neither sweats, nor slips, while the wide mouth lid allows for easy additions of ice and prevents spills. ​It's Man vs. Bottle with Bear Grylls' stainless steel insulated water bottle. This stainless steel product features a triple wall design that promises to keep beverages hot for 12 hours and cold for 24 hours. Despite having three walls, this bottle doesn't add bulk. In fact, it is 20% lighter than its counterparts, weighing in at a meager 9.6 ounces. This bottle is everything proof - leak, sweat, spill, and odor. With a lifetime warranty on top, this is surely one of the best insulated water bottles on the market. It's Man vs. Bottle with Bear Grylls' insulated water bottle. This stainless steel product features a triple wall design that promises to keep beverages hot for 12 hours and cold for 24 hours. Despite having three walls, this bottle doesn't add bulk. In fact, it is 20% lighter than its counterparts, weighing in at a meager 9.6 ounces. This bottle is everything proof - leak, sweat, spill, and odor. With a lifetime warranty on top, this is surely one of the best insulated water bottles on the market. 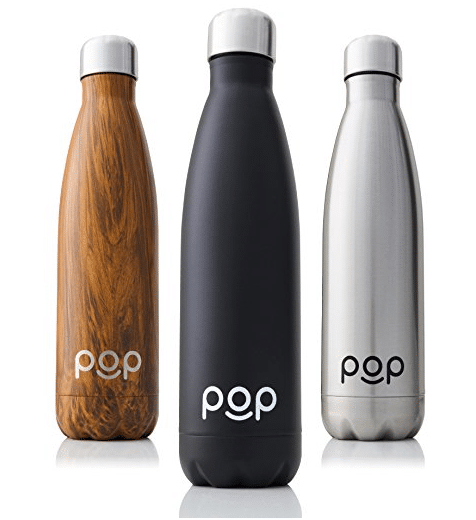 POP Design's best insulated water bottles do just what they say -- POP! The attractively designed bottles aren't just for looks though. To enumerate, the stainless steel bottles are vaccum insulated to keep beverages cold for 24 hours and hot for 12. Available in either 17 ounces or 25 ounces, the bottles feature a double wall flask, narrow mouth, and SafeShield powder coating. Thereby, trekkers rest assured knowing that the bottle is sweat proof, leak proof, and scratch proof. With its lifetime warranty and reliable nature, the hardest decision to make is whether you want this bottle in black, titanium, or the wood finish. Simple Modern's Summit Insulated Water Bottles abounds with appealing features. For example, the vacuum insulated 18/8 food grade stainless steel bottle is available in 8 sizes ranging from 10 ounces all the way up to 84 ounces. The exterior of the bottle features a copper dipped coat for unparalleled insulation. Additionally, the wide mouth lids contain a handle by which the bottle can be carried. 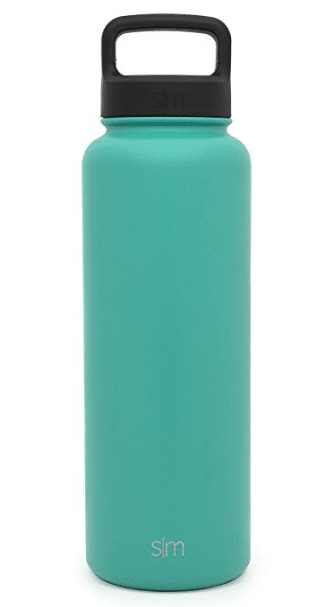 Multiple colors and flexibility in sizing make Simple Modern's Summit bottle one of the best insulated water bottles around. It's no secret that MIRA makes some of the best designs for water bottles available. This also applies to their stainless steel, vacuum insulated bottle. The sturdy and durable bottle prevents leaks, spills, and sweats through the utilization of a powder coat. A wide mouth allows drinkers to easily add more of their chosen beverage, ice, fruit, or drink powders easily and quickly. 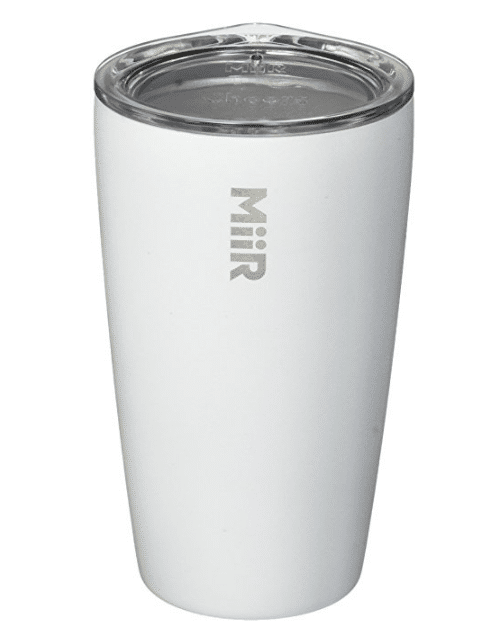 It's a good thing this best insulated water bottle keeps beverages hot for 12 hours and cold for 24, because we guarantee you will want to get to know MIRA's product better. For the purposes of our list of the best insulated water bottles, this bottle is a bit different. 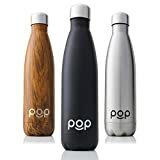 To further explain, this one is made of BPA-free and Phthalate-free plastic, a departure from the typical stainless steel finish of many insulated bottles. Rather, this plastic alternative is vacuum insulated to maintain the temperature of your preferred beverage. At 24 ounces and the ability to fit on a bike bottle rack, this lightweight competitor attests that it keeps travelers hydrated. Furthermore, the bottle is dishwasher and freezer safe, making for quick, easy cleaning and transport. CamelBak has long been a trusted brand for keeping travelers hydrated. Their insulated water bottle is no exception. An angled snapping spout on the tethered cap provides an ergonomic drinking system. High volume flow from the wide mouth allows a higher volume of liquid to come out at a time. Moreover, this best insulated water bottle is dishwasher safe and spill proof. Even still, we think the best feature is that the bottle keeps beverages cold for 48 hours and hot for 6! We know what you're thinking!! You're right -- this isn't technically a water bottle. Nonetheless, we've included this model to highlight the wide diversity of insulated drinking products. This 23 ounce tumbler functions more or less as an insulated water bottle. To enumerate, the bottle is less than 3 inches in diameter and only 9 inches in length. This allows it to fit in most backpack pockets. The Thermo 3D double walled vacuum system keeps drinks cold for 24 hours or hot for 12, all while fitting in your car's cup holder. As an added bonus, MiiR gives 5% of each purchase to their Active Giving Project which funds things such as a bike share in Zambia or clean water in Liberia. Hydro Flask is one of the top manufacturers of the best insulated water bottles. With seven sizes and fourteen colors available, trekkers of all types and personalities love matching their bottle to their mood. The makers of Hydro Flask have allowed customers to create a personalized water bottle that fits their specific tastes. The TempShield design ensures that drinks stay cold for 24 hours and hot for 12. Additionally, each bottle is compatible with any of Hydro Flask's caps. HydroFlask is one of the top manufacturers of the best insulated water bottles. With seven sizes and fourteen colors available, trekkers or all types and personalities love matching their bottle to their mood. The TempShield design ensures that drinks stay cold for 24 hours and hot for 12. Additionally, each bottle is compatible with any of HydroFlask's caps. 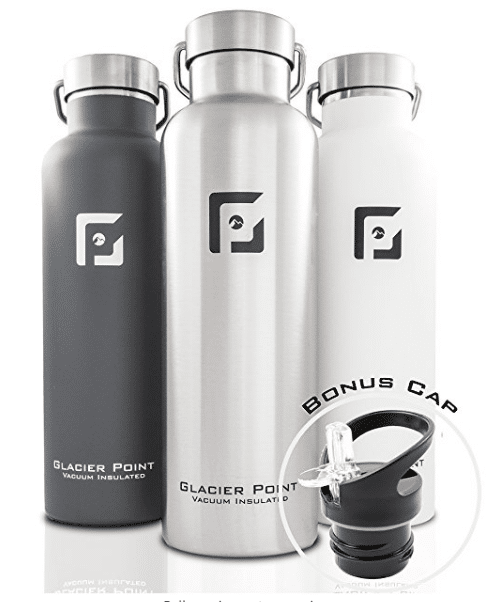 Glacier Point sells one of the sleekest and best insulated water bottles on the market. The 25 ounce stainless steel bottle is vacuum insulated. Double walls maintain cold for 24 hours and hot for 12 hours. Two compatible lids exist for this model -- the stainless steel cap and the bonus sports cap that allows trekkers to simply "flip and drink." A medium mouth opening, lifetime warranty, and ability to fit in most cup holders truly makes Glacier Point's bottle one of the best! 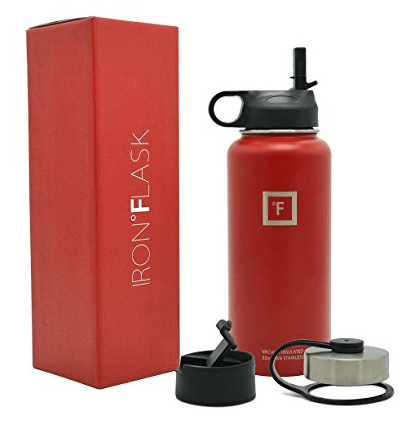 Iron Flask's Insulated Water Bottle comes in two sizes - 32 ounces or 40 ounces. The vacuum insulated stainless steel water makes use of double walls to keep your drinks cold for 24 hours or hot for 12. A powder coat prevents sweating and slipping. 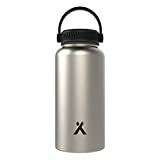 To complete its insulated water bottle, Iron Flasks throws in three types of lids -- a straw lid with two straws, a flip lid, and a stainless steel lid. 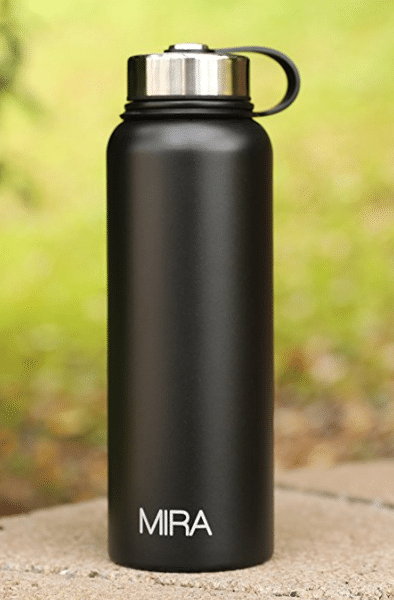 Top things off with Iron Flask's sleek look and you've found one of the best insulated water bottles! the flow makes a bottle unlike all others. The stainless steel water bottle features double walls and vacuum insulation technology. At 32 ounces, you can keep ample supply of your favorite beverage hot for 12 hours or cold for 24. Being that the bottle is BPA and toxin free ensures your health and well-being as you sip. Three lid options set the wide mouth off, allowing travelers to choose from a straw lid, carabiner lid, and a flip lid. 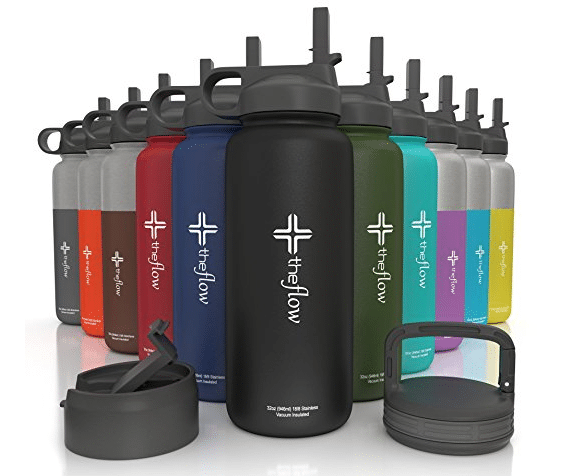 the flow lets trekkers go with the flow of their hydration needs. Takeya's insulated water bottle gives others a run for their money. The insulated 18/8 grade stainless steel bottle comes in sizes ranging from 14 ounces up to 64 ounces. Of course, like its competitors, Takeya maintains heat for 12 hours and cold for 24 hours, is sweat and leak proof, and is portable. However, it doesn't stop there. Takeya incorporates an original spout lid, thus allowing for the convenience of a wide mouth with the drinkability of a narrow mouth. Furthermore, travelers love that you can drink from this best insulated water bottle without removing the lid. Contigo is a tried and true brand that delivers unmatched quality, especially in terms of its insulated water bottles. This particular model is a 24 ounce stainless steel bottle featuring Thermalock vacuum insulation. The AUTOSEAL technology ensures that leaks and spills never occur on Contigo's watch. 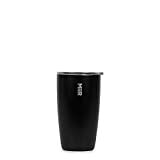 The Contigo autospout cover protects the drinking mechanism from germs and grime, while the carry handle and push button over the spout allow for one-handed drinking. Moreover, this bottle is dishwasher safe, making it one of the best insulated water bottles. Contigo is a tried and true brand that delivers unmatched quality, especially in terms of its insulated water bottles. This particular model is a 24 ounce stainless steel bottle featuring Thermalock vacuum insulation. The AUTOSEAL technology ensures that leaks and spills never occur on Contigo's watch. A spout cover protects the drinking mechanism from germs and grime, while the carry handle and push button over the spout allow for one-handed drinking. Moreover, this bottle is dishwasher safe, making it one of the best insulated water bottles. 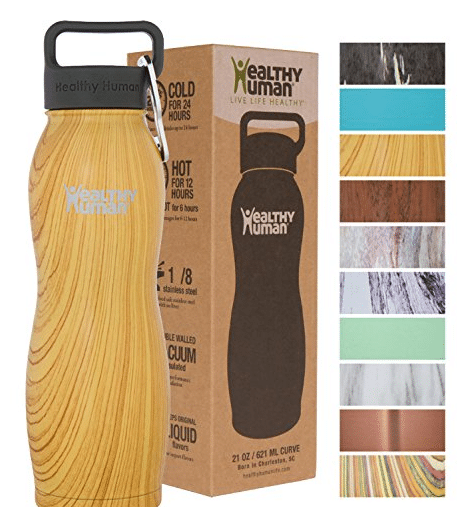 Healthy Human's insulated water bottle is eye-catching to say the least. Even still, it's also extremely practical and functional. Travelers will find that this stainless steel double wall vacuum insulated bottle keeps beverages cold for 24 hours, hot for 12, and get this--- piping hot for 6 hours. The sleek ergonomic designs spotlights a new dawn for insulated water bottles. 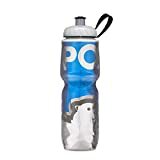 This, coupled with its complimentary carabiner, woven bag, sticker, and hydration guide pool together to make this one of the best insulated water bottles. Do you need authoritative advice on other travel topics? Here at trekbible, we aspire to be your one stop shop for all things travel, all the time. Check out our other articles for the best travel intel, inspiration, and reviews. The best insulated water bottles make a world of difference. Face it, when you want your beverages hot, they should be hot. When you want them cold, they should be cold. Our list of the best insulated water bottles puts the power of choice in your hands. Each of these products offers a unique solution to those with temperature retention woes and those who seek sustainable options. Which one of these do you think would be the best insulated water bottle for you? Share your pick with us in the comments! Happy sipping!